Talk N Text already offers SurfMax 299 for 7 days internet promo that cost you 299 pesos. With this new GAANSURF50 you can enjoy the same day of validity, but it only gives you consumable data for the whole week. Your 50 pesos budget can last up to 7 days if you know how to use and budget your data allocation. TNT GaanSurf 50 only gives you 500MB of data plus another 200MB for 3 more mobile apps. It means you need to minimize your data usage, make sure you restrict background running apps on your smartphone or if using pocket Wi-Fi make sure to secure it with strong passwords to avoid unwanted access. 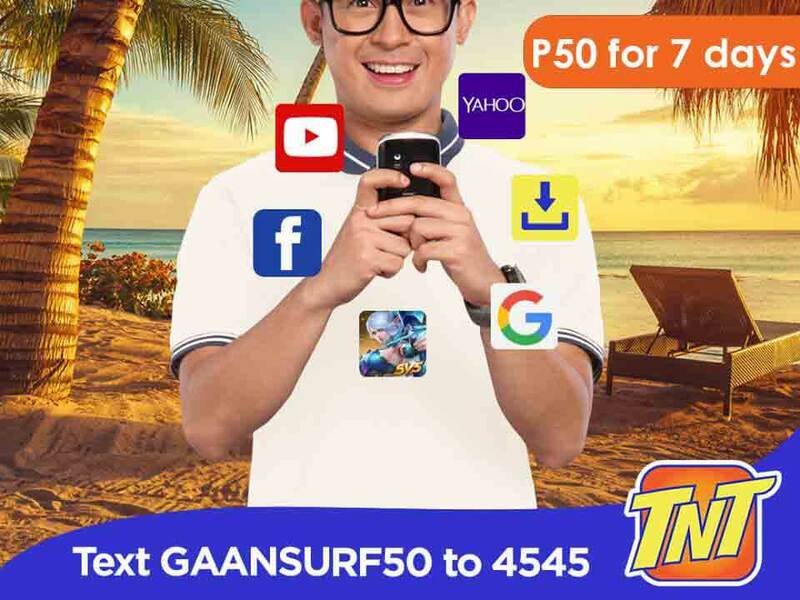 You have two options to enroll to this GAANSURF50 promo, first is via SMS method where you need to text the keyword on your own after you reload your account with 50 pesos. The second option is by a retailer, just give your mobile number to your nearest load retailer and let them directly load this promo to your account. For retailers, you can load GAAN Surf 50 promo to your clients using the format below. Also available TNT Gaansurf30 promo, if you want a cheaper internet promo only 30 pesos for 5 days. Wait for the SMS notification from Talk n Text that your registration is successful before you start using this promo to avoid unwanted load charges.